Our utmost concern is to offer our customers and partners the highest quality and the best service. The comprehensive support of our partners and a balanced price-performance ratio are a matter of course. Due to our small company structure, we are able to respond to specific customer requirements quickly and directly. 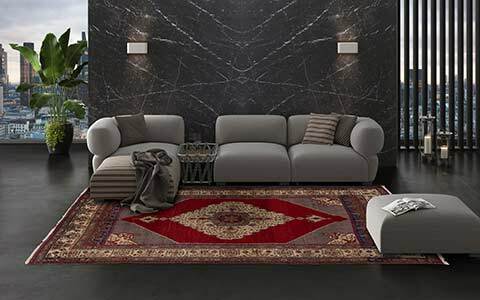 We acampaign for your projects and together we find the perfect carpet for every ambience. For this purpose, we are happy to provide you with our catalogs and various collection brochures. 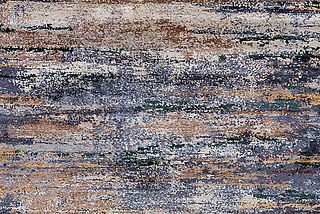 Samples of our modern designer rugs are available on request, we look forward to your message! The extensive Mischioff Collection offers a large selection of different styles. The choice of the perfect carpet is therefore not always easy. With our virtual sampling we make it possible to illustrate the effect of our carpets in an existing facility. This free service facilitates the selection of the right carpet, which should fit harmoniously into the existing ambience. For the sampling service, simply send us a photo of the room situation in which the carpet should find its place. If you have already considered special designs from our product range, please let us know - otherwise we will select suitable options according to your wishes and specifications. 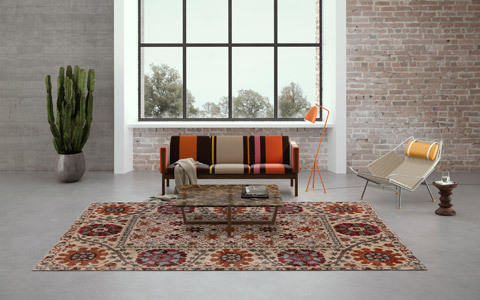 We visualize different rugs directly in the room and illustrate the effect of the rugs. Simply send us your photos for virtual sampling by e-mail. If you have any questions, we are also at your disposal. 1. You send us a picture of your current living situation in which the new carpet should find its place. Let us know the carpet that is suitable for you - or let us know your ideas about size, colour(s) and style. 2. 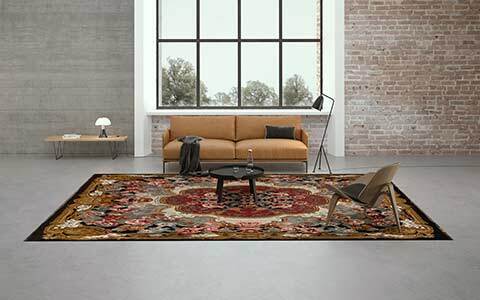 We will visualize the desired rug for you, if you have already considered a particular model. Alternatively, we send you suggestions of matching carpets for your room from our range. 3. You like the visualized carpet? Then place your order! 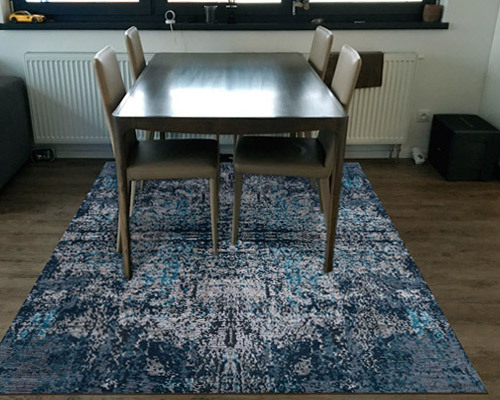 In comparison to the visualization you can see a real picture of the delivered carpet here. The Mischioff brand stands for extraordinary quality. 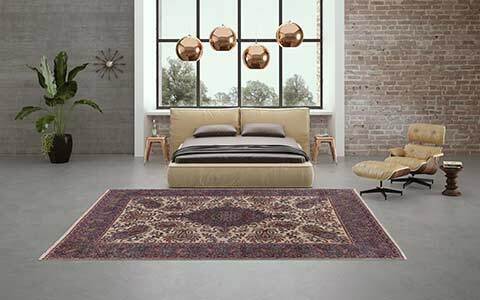 Therefore, we pay special attention to the use of the highest quality materials such as highland wool from the Himalayas and the finest Chinese silk. 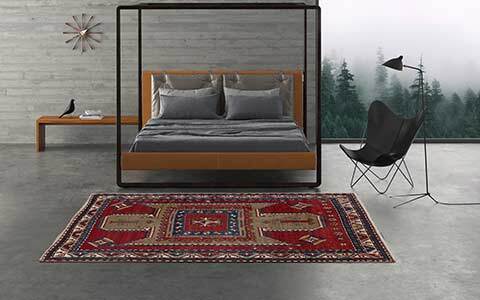 To ensure the consistently high quality of our products, every ordered rug is sent from the manufacturing centres to our warehouse near Zurich, before being dispatched to the customers across the globe. Here each individual rug is subject to stringent quality control. 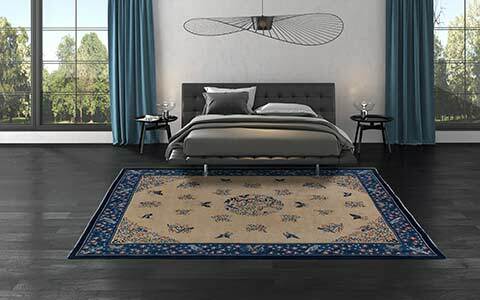 Only the rugs that meet the high Mischioff quality standards find their way to the customer. 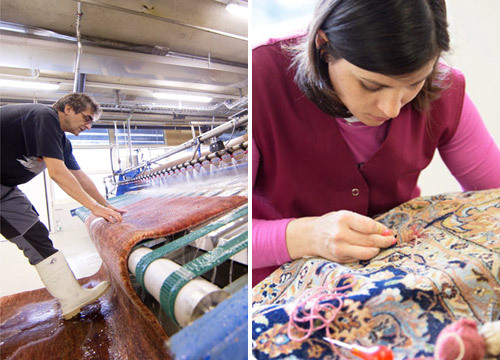 Learn more about the production of our fair trade carpets! Regular vacuuming is very important to maintain the carpet's durability and classines. 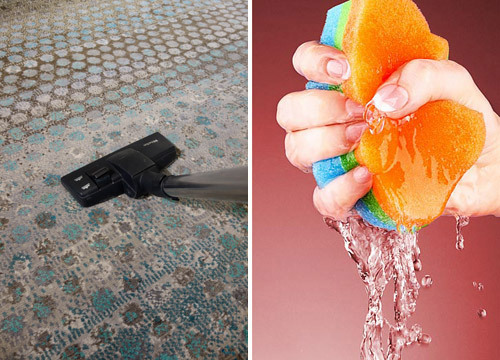 By thoroughly vacuuming, dust and dirt particles can be removed effectively. Moreover, the natural fibres of the carpets will be aerated and smoothed. Please do not use brush extensions to avoid loosening any woolen or silk fibres. Prompt action is the key to success for removing stains. Liquids can be absorbed by a paper towel or an absorbent cloth. Dried stains can be removed carefully with the back of a knife. For removing insistent stains, please exclusively use pH-neutral soap or stain remover, which are convenient for wool or silk. Wash the cleaned area with lukewarm water and dry it with a towel or an absorbent cloth. Chemical stain remover such as turpentine, gasoline or ammonia must not be used in any case. 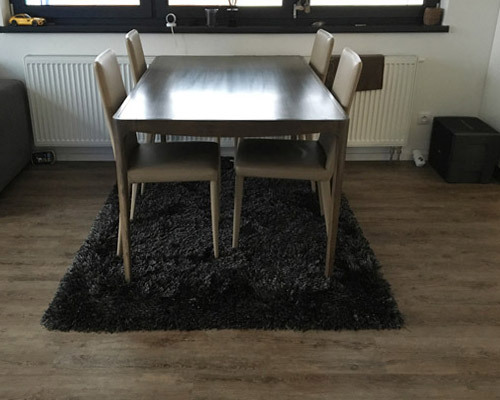 In case of strong and insistent defilement, we recommend to contact a professional carpet cleaning company such as the company Knecht GmbH in Switzerland. With a professional carpet cleaning even the most insistent stains will be cleaned and almost every single carpet will look like new again. In the course of use, single wool and silk fibres may loosen. Please do not extract these loose fibres from the carpet, but use scissors to cut these excessive fibres off. 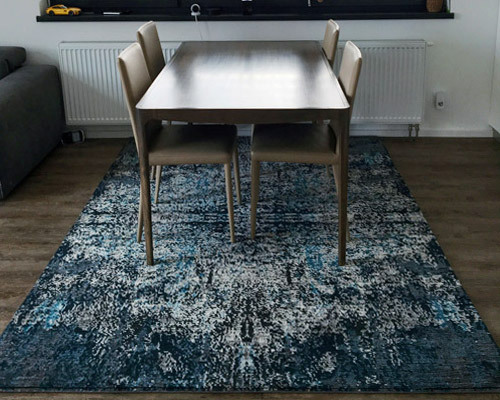 If your carpet has got larger damages like disraptions or holes, we recommend a professional carpet repair, which is offered by professional retailers and also at different carpet cleaning companies. For your questions and concerns we are at your disposal.